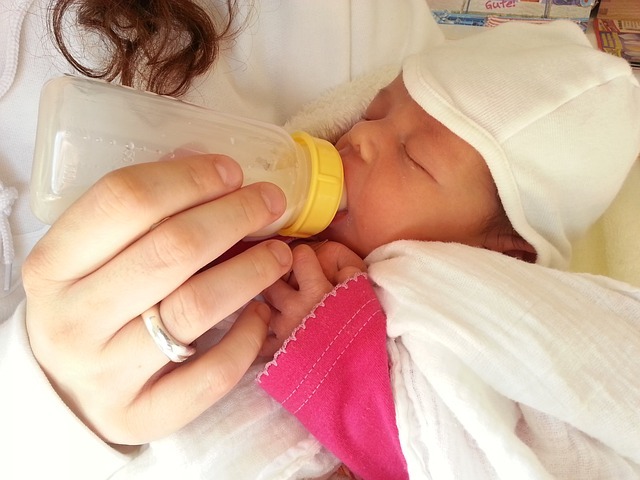 Fortunately, many new mothers are donating surplus breast milk to help premature babies. Sarah McHugh is one such individual. Sarah gave birth to her daughter Harriet in March 2017, but she had trouble feeding the baby due to latching-on difficulties. Although Sarah did manage to breastfeed Harriet, she had more milk than her daughter required, so she made the decision to donate her breast milk. Amazingly, she donated the equivalent of 500 bottles of milk in six months. Although some might find it strange to give another woman’s breast milk to their child, many women are actually donating milk in the same way that Sarah is. In fact, at the Birmingham Women’s Hospital Milk Bank, many donors are helping, among other things, premature babies avoid infections by supplying their surplus breast milk. How Is Breast Milk Donated? Sarah told HuffPost UK that the process of donating breast milk was straightforward. She explained how she was initially tested before being sent bottles and a thermometer to ensure her milk was stored correctly. Once she had enough to donate, she would call the milk bank who would then send volunteers to collect. Sarah continued to donate breast milk right up until daughter Harriet was six months old. Is it Odd to Accept Another Woman’s Milk for Your Baby? Dr Gemma Holder is a consultant who has worked at Birmingham Women’s Hospital for ten years, and she explained that there is a lot of work involved in the process of milk donation. She also said that many women are still reluctant to accept another woman’s breast milk for their child. Could You Donate Your Breast Milk? If you are considering donating your breast milk, you should know right off the bat that you will be asked if you are a smoker and questioned about how much caffeine you drink. The reason for this is that the donated milk is typically used for the most vulnerable babies and infants, so chemicals from smoking or too much caffeine in the system will be bad for the babies. You can also expect to be given a blood test to check for viruses to ensure nothing harmful is passed to susceptible pre-term babies. Donor milk not only benefits premature babies, but it also helps stressed mothers struggling to produce their own supply or those too ill to feed their children.